Neal Rauhauser was upset that he got a bad recommendation from his buddy, Chet Uber, after leaving Project Vigilant. So he threatens to reveal information that he has on Project Vigilant...which is why he got the bad recommendation in the first place. 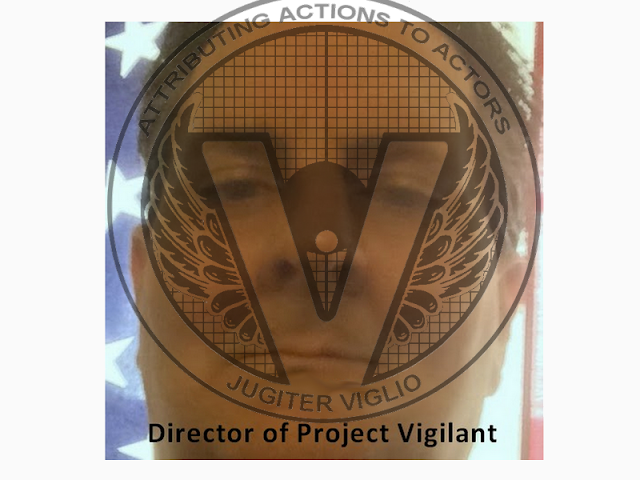 Only 657 short days after I quit, Project Vigilant publishes a draft of a statement, but some chickenshit just can’t resist one last little snide comment. I am “not eligible for re-enrollment”? I suppose that is technically true, but it’s a calculated jab at any future employment I might seek, and it’s amazingly cheeky given the things that I have witnessed since my 12/6/2010 resignation. Things which are clearly not covered by my non-disclosure, and which have remained secret only because they are nobody else’s business. I never intended to say anything, but I will make it known that I reached out to the Bradley Manning defense team on two different occasions. I was idle all of 2010 as far as PV was concerned and nothing I knew was of use. I knew something big had happened two days before the press did, but I was busy and paid little attention to it. If I had known anything, civil consequences be damned, I’d have spoke up. We can’t have enlisted men making unilateral choices for the Department of State, but I feel that Manning has already served what time he should, given the extraordinary circumstances.. And we have seen no consequences for the many crimes which came to light. Perhaps that statement will change, and other than the fact that I approached the Manning defense team, I will say nothing else. Perhaps someone is feeling cocky, not understanding just how bad it will be if I start carefully adhering to the NDA and editorializing about everything else.